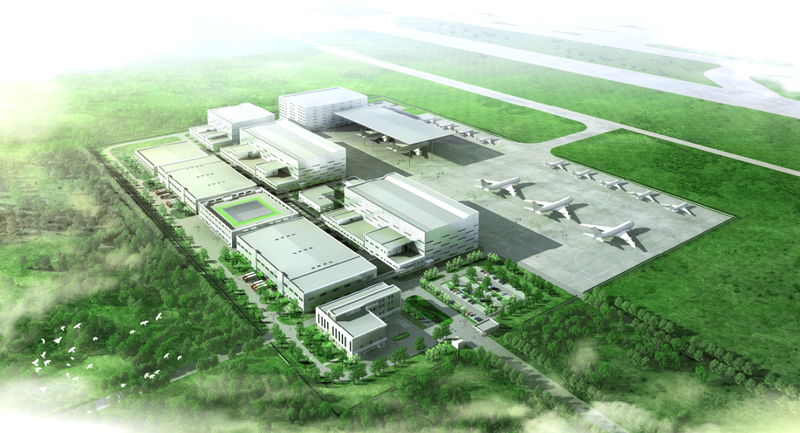 Hong Kong – 8 June 2018, Friedmann Pacific Asset Management Limited (“FPAM” or the “Group”), an experienced investor and operator of aviation ventures around the world, is pleased to announce that Asia’s first large-scale aircraft recycling facility, China Aircraft Recycling Remanufacturing Base (the “Base”), owned by its associate company Aircraft Recycling International Limited (“ARI”), a member company of the Group, has formally commenced operation today. The Base is equipped with modern facilities and devices that utilize advanced technology. These consist of various systems for aircraft maintenance, conversion, dissembling, installation of aircraft parts, as well as aircraft materials management and sales. The Base covers seven areas of business operation, including aircraft purchasing, selling, leasing, dissembling, replacing, conversion and maintenance, providing dynamic aircraft recycling solutions to airlines, MROs, lessors, as well as manufacturers and distributors of aircraft materials. Around 200 people joined the launch ceremony, including municipal and provincial officials from Heilongjiang, together with senior representatives from ARI’s shareholders CALC, China Everbright Limited, Friedmann Pacific Asset Management Limited and Sky Cheer International. They were also joined by other leaders from various sectors in the aviation industry. During the event, participants shared their views on the prospects of and development opportunities within the aircraft recycling and remanufacturing industry. China Aircraft Recycling Remanufacturing Base is located on the south side of China’s Harbin Taiping International Airport. It has a gross floor area of 300,000 sqm. With the construction of Phase I completed, the Base has had an effective handling capacity of 20 aircraft per year. It has China’s largest bonded warehouse for aircraft parts. Its hangar can hold three narrow-body aircraft simultaneously or one wide-body aircraft and one narrow-body aircraft together. When an aircraft enters the Base, it is placed under visualized management throughout all procedures, including dissembling, maintenance and recycling, free from hazards. The Base adopts optimized techniques to minimize energy consumption and execute the recycle and reuse of aircraft materials and parts to participate in the green recycling economy with added value. 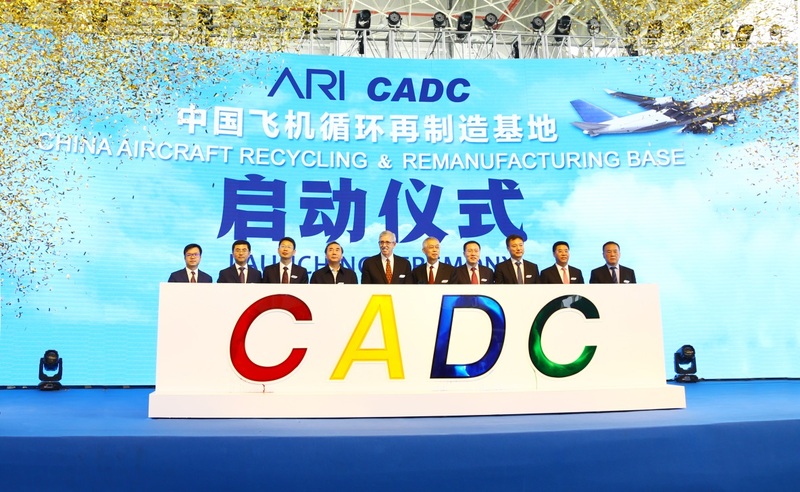 The Base will also improve the development of various industries in China, including aviation materials’ recycling and reuse, and aircraft parts maintenance. When the Base commences operation, the strategic portfolio of Aircraft Recycling International’s (ARI) business will also be further optimized. Its subsidiary in the US, Universal Asset Management Inc. ("UAM"), is a well-established operator with extensive experience in aviation asset management, high-tech aircraft disassembly, commercial aviation aftermarket solutions and extensive customer networks and relationships. The two companies synchronize and complement each other. By integrating the aircraft and engine leasing platform and aviation investment and financing platforms established by ARI, the two companies will work together to build the world’s most advanced aging aircraft solution platform. With its comprehensive aging aircraft solutions, ARI will also further improve CALC’s aircraft full value-chain. CALC’s unique business model offers services covering an aircraft’s full life cycle to meet airlines’ fleet management requirements, including services for new aircraft, aging aircraft and aircraft coming to the end of their lives. By leveraging the comparative strength of their respective expertise, the synergy between CALC and ARI will optimize aircraft asset allocation effectively, as well as maximize their overall economic benefits.